Dubbing light may be seen as an extension of the artists' work, the process of installing and working collaboratively as they consider the role of colour and the monochrome in their work. 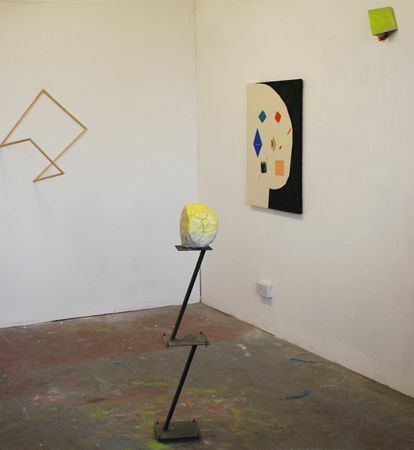 Fukami and McCambridge have conceived of this show as a piece of work in and of itself, coming from their own separate practices which are grounded in process and experimentation as a mode of making and knowledge gathering. The gallery space becomes an active site for improvisation and experimentation echoing their individual processes. They will create an evolving show, which will begin with colour-based work (Feb 12th- 22nd) and change to monochromatic pieces in the second week (Feb 26th  Feb 28th).